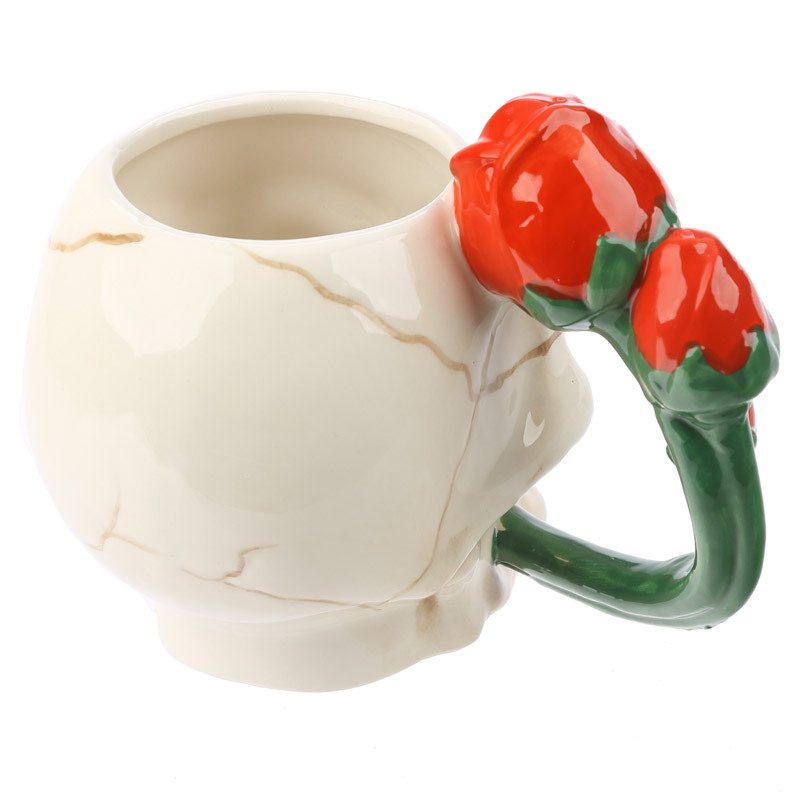 Awesome mug that will definitely make an impression on all of your friends. 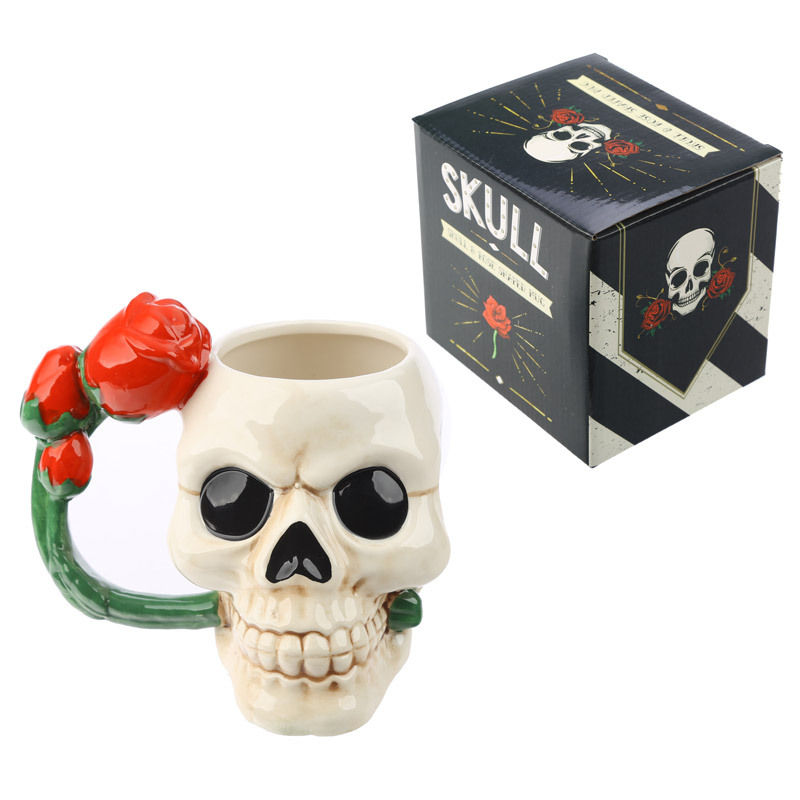 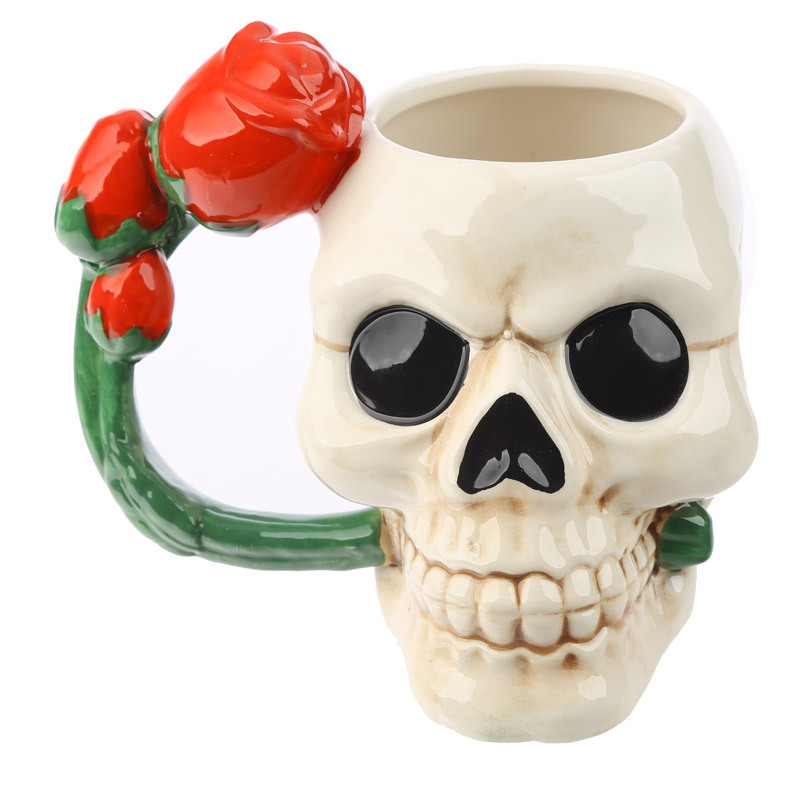 This large mug has the shape of a skull holding a rose in its teeth - already makes the beverage more special. 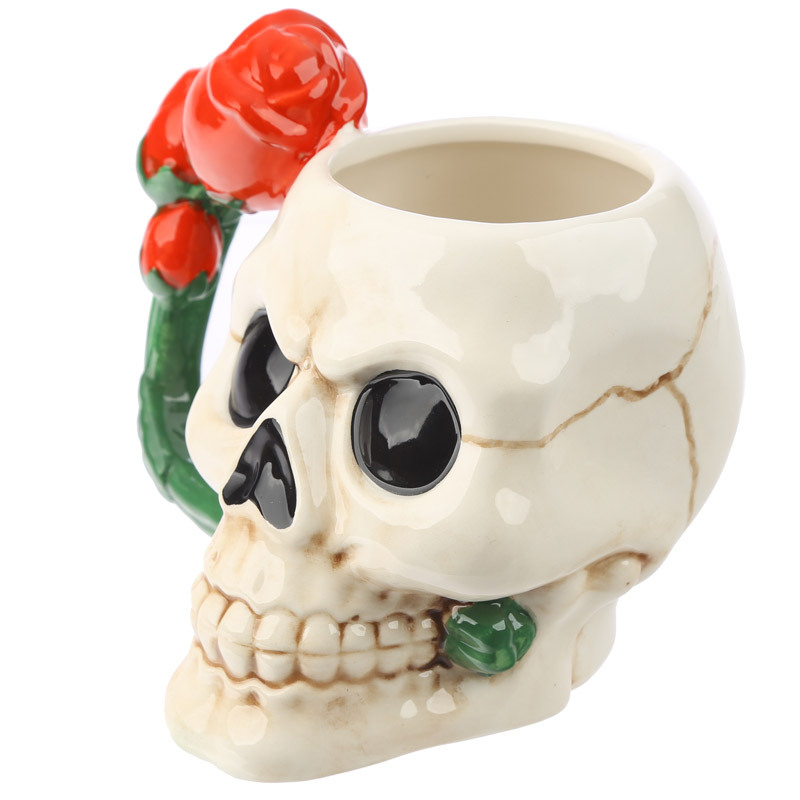 Fun party item, especially for Halloween, but also for other occasions.